We are thrilled with our new swim cap design! The quality is exceptional, the fit is snugger and minimises water leakage, the silicone is soft and less prone to static which makes slipping it on so much easier. 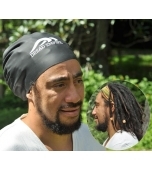 It's important you allow your dreadlocks to dry thoroughly after swimming and showering etc so this is a really convenient way to keep your dreadlocks dry while still enjoying the water. 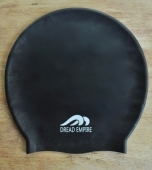 SIZING: This Large cap is suitable for dreads which extend no further than the middle of your back. 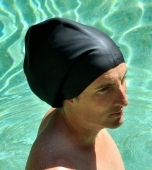 If you need less or more volume, then you may wish to consider the Extra Large or Long Hair Swim Cap. 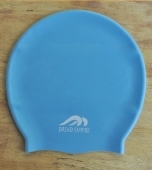 WEAR & CARE: The caps are made from 100% silicone and just like any swim cap, if you completely submerge your head a little water may seep in under the edges. For the most part, your dreads will remain dry and any wetness that may occur will dry quickly. They can be stretched to fit over the head but take care not to tear the silicone by over stretching or with sharp nails or jewellery.